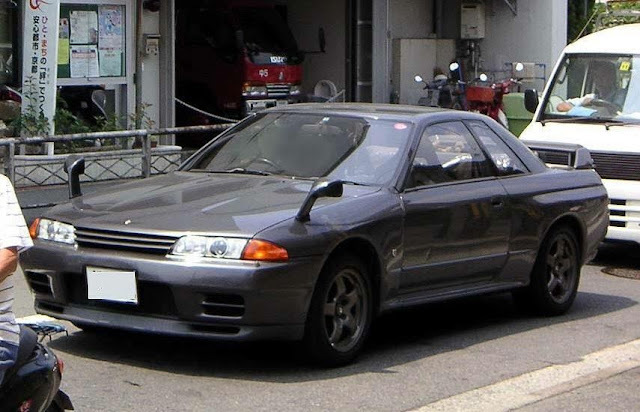 Fender, or wing mirrors were actually a thing in Japan for the R32 Nissan Skyline GT-R. Side mirror delete, and fender mirror add. If you have ever driven a car with wing mirrors, you will probably agree, they are pretty useless. Even though they are popular on the older cars, and look correct on say the 1971 Nissan Skyline below, they look just a bit odd on a R32 GT-R.